On one average day a dirty secret surprised me! I was browsing online, playing some games and when i was about to do some blog posts the horror happened! The letter A, Z, Q and TAB keys suddenly stopped working and there's no way I'm gonna use the on screen keyboard. I was already thinking that it's maybe time to buy a new one. I tried to unplug and plugged the keyboard back again in hopes that it might have been just a loose connection but there was a far more sinister reason that i soon discovered. It's definitely not a good sight upon checking under those keys mentioned. It's been 3-4 years since we got this keyboard and this was the first time that i thought on cleaning deep below the keys. We normally just sweep away the dirt and dust on the side and top of each keys and sometimes even wiping it with alcohol but had forgotten to do some cleaning under. The horror... Some might say. I Immediately remove the keys and cleaned under it. It was pretty easy but something I've neglected for the past years. I cleaned the main part first and did the same with the rest of the keys. It's not like it's spotlessly clean now but there's definitely a very BIG difference right? Fortunately it worked again and I'm thankful that this keyboard lasted me for that long. Just in case anyone else want to try it. Here's a video sample of how to remove the keys from this kind of keyboards. Try to give it a try and share on the comment if it worked for your keyboard too. I don't know how many times I've heard and have used this saying, it may be cliche but the essence of it never changes. However, people tend to disregard it's importance especially when it comes to health. 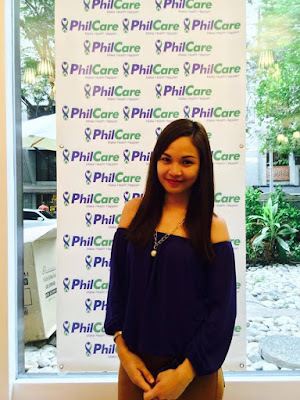 This has been uncovered during the 2014 PhilCare Wellness Index, the first of its kind study in the Philippines. Majority or about 74% of Filipinos views health as "curative" rather than preventive. Meaning, they choose to self medicate and will only consult a doctor when they are already sick, which is indeed very alarming. High cost of consultation is one of the reason that prevents them from doing so. 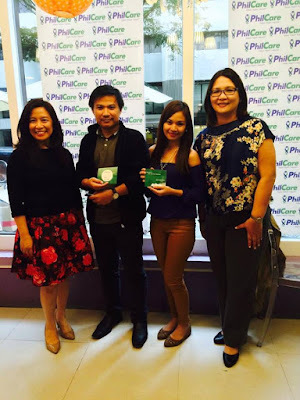 I got invited last November 24, 2015 at Bistro Pamana over an intimate Thanks giving party for Bloggers which is also the launching of the Unlimited Medical and Dental Consultation Cards, which is PhilCare's solution to the health situation we have here in the Philippines. 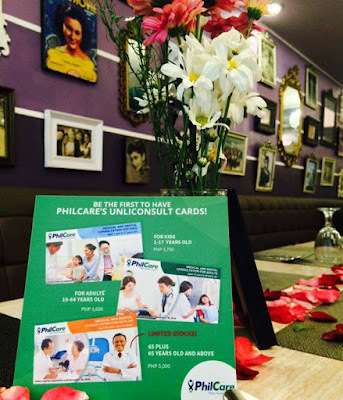 PhilCare understands that each age range has specific health concerns, that's why they developed three variants of the Unlimited Medical and Dental Consultation Cards according to the age of its users. Medical and Dental Consultation for Kids - (Php 3,700) for kids aged 1 to 17 years old. Offers unlimited medical consultations to more than 5,500 PhilCare-affiliated pediatrician and one year unlimited consultation with Dental Network dentists. Medical and Dental Consultation for Adults- (Php 3,600) for adults aged 18 to 64 years old. Medical and Dental Consultation for 65+- (Php 5,000) Ideal for adults aged 65 and above. --- Card offers unlimited medical consultation to more than 9,600 PhilCare-affiliated family medicine specialists, internal medicine specialists, cardiologists and gastroenterologists nationwide. One year access to Dental Network dentists. Patty P. Henson, SVP and Chief Marketing Officer for PhilCare shares, "The unlimited consult cards makes consultations easy, affordable and available for everyone- especially for senior citizens. No long paper work to register, activation of the card is done by text and can be used 3 days immediately after activation. We always said that PhilCare Makes Health Happen- this is a testament to that commitment." This is definitely a good news to everyone, I just hope that this will change people's approach on health and wellness. Together with the PhilCare Bosses and one of the winner, Mr. Oscar Bornea. 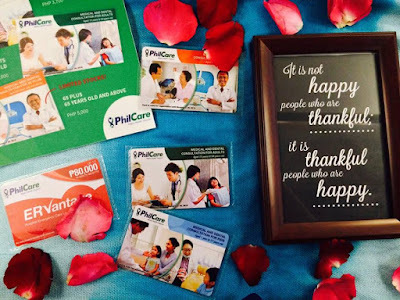 At the event PhilCare hosted a contest and my flatlay photography skill (haha) won me my own Smart Check Up Card- Annual Physical Exam Package. I am looking into getting Unlimited Medical and Dental Consultation Cards for my parents who are in the province and the good news is, PhilCare has also made it easy for everyone to purchase courtesy of its efficient shopping online system. 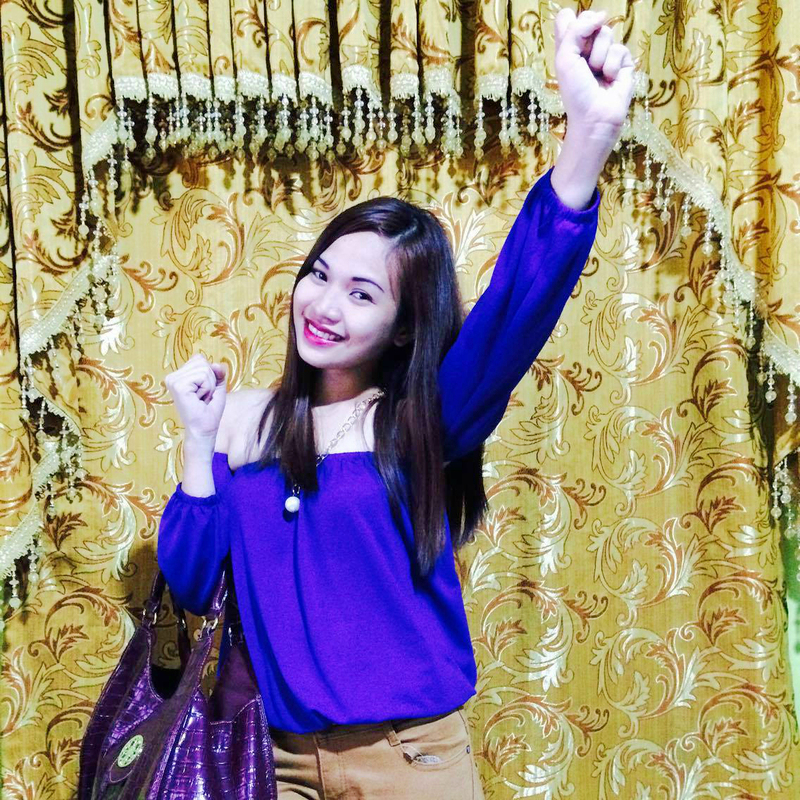 It's the Christmas Season already, one of the most awaited and celebrated occasion by most Filipinos. 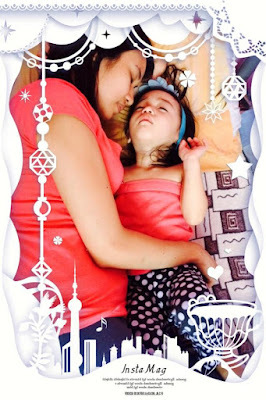 In fact, Filipinos are known to have the longest Christmas celebration and that starts as soon as the Ber-months begin. One of the Christmas traditions we Filipinos observe is the gift giving or exchange gifts, which is actually being observed on any occasions. Everyone seems to be excited about it but in all honesty not all has the time to actually go out and shop and why online shopping plays a big role. However, with the increase in the number of online shops here in our country, we really couldn't tell whether which one is to trust. But this should not be a problem anymore because iTrueMart is now here in the Philippines, making shopping a whole lot better! iTrueMart, Thailand's leading e-commerce retailer has launched the iTrueMart.ph e-commerce website to serve the Philippine market and bring an unrivaled shopping experience with the goals of becoming the top-of-mind e-commerce brand, to have great assortment at best prices, to provide the best end-to-end customer experience and to become the most trusted online shipping platform. at Discovery Primea Ayala Ave. Makati City. 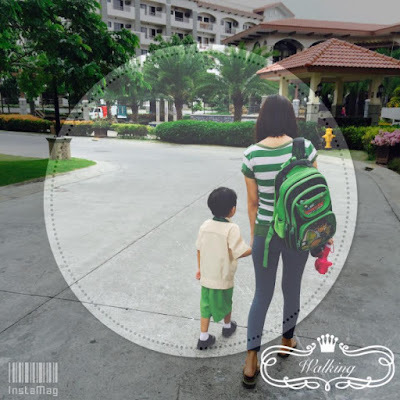 "Great Value, Everyday" that is their slogan, because iTrueMart.ph assures that they only work with authorized distributors of international brands and act as authorized dealer of local brands so customers can be assured that all products on the website are genuine. 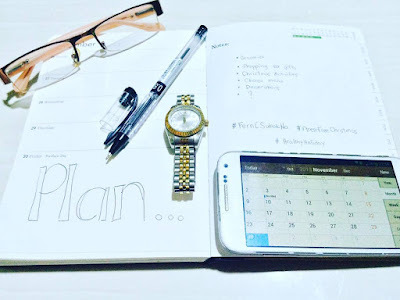 Customers can browse through a variety of verified and trusted both local and international brands like Cherry Mobile, MyPhone, ArcMobile, Samsung, Asus, Xiaomi, TDK, Lenovo and enjoy truly amazing offers every day with special promotions, deals, and privileges for everyone, catering Filipinos' love for bargains. As of now, their current focus is on smartphones and gadgets and it will expand into consumer electronics, computers and laptops, health and beauty and moms and kids in the future. Convenient and risk free, iTrueMart makes customers online shopping experience one-of-a-kind with its easy-to-navigate assortments, best buy endorsements, exceptional promotions and quality customer service. Purchases are risk and hassle-free and customer satisfaction is assured with it's free delivery, cash on delivery and money-back guarantee. iTrueMart was launched in Thailand in 2013 by True Corporation as a business-to-concsumer (B2C) e-Commerce platform, following the success of its consumer-to-tconsumer (C2C) platform, WeLoveShopping. 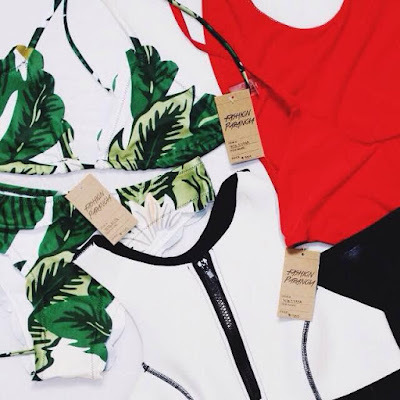 Both brands became part of Ascend Commerce, a business unit of Ascend Group. Mr. Punnamas Vichitkulwongsa, CEO of Ascend Group says, "e-commerce will have huge potential when the AEC fully materializes. According to a study by Ystats SE Asia eCommerce, the volume of ASEAN's mobile internet users rose 56% in 2015. Recognizing the growing number of mobile-internet users, we are confident that online shopping will also grow. The AEC is an emerging and interesting market for e-commerce through which entrepreneurs can expand their business." They are debuting their operations in the Philippines followed by Vietnam, Indonesia, Myanmar, Cambodia, Malaysia and Singapore later in 2016. 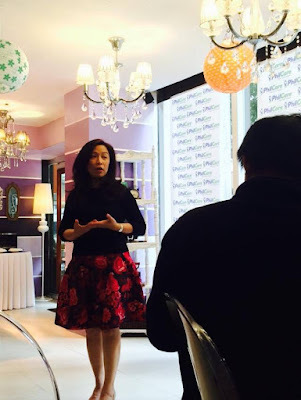 "We are committed for long term success in the Philippines and everywhere else that we go to." he added. 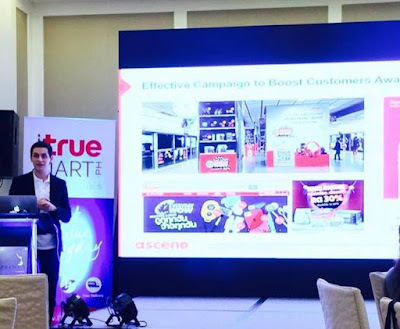 Mr. Seubsakol Sakolsatayadorn, General Manager of the iTrueMart division at Ascend Commerce,says "iTrueMart.ph is not a newcomer to the market as the team is backed by the strong success of iTrueMart in Thailand. iTrueMart.com receives 7,000 orders per day on average, with the highest volume of daily orders at 10,000. 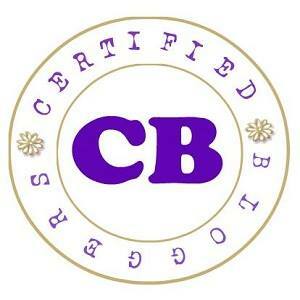 This marks the highest record in Thailand's online retail industry." 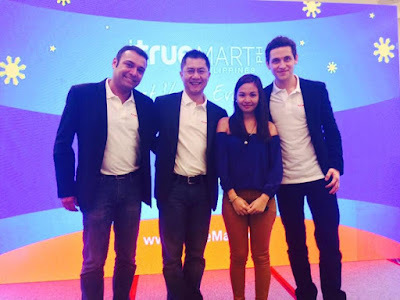 According to Mr. Sakolsatayadorn, "iTrueMart.com's delivery averages at two days throughout Thailand and it enjoys the lowest e-commerce return rate, which confirms the trust and shows the high quality of the products offered on the website." 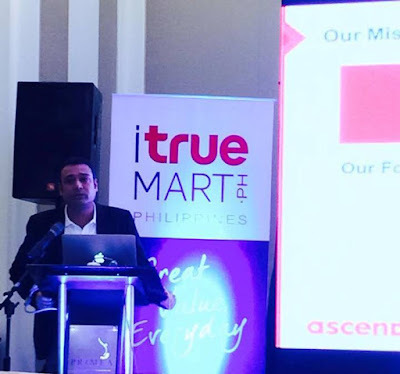 Mr. Dean Krstevski, Chief Operating Officer E-Commerce of Ascend Group says, "iTrueMart's decision to launch in the Philippines stemmed from the fact that competition in the e-commerce sector in the Philippines is still considered low. With the market still in its infancy there are plenty of opportunities for new players to enter. Now that the e-commerce market is being developed, brands are increasingly looking for partners to sell their products online, which iTrueMart sees as a great advantage that will help speed up its market entry.We are confident of our success in the Philippines because we have a strong team with extensive experience in both online and offline retail." This Christmas season aside from attractive Christmas campaigns and great value Mr Krstevski also guaranteed delivery of your orders before Christmas eve. Great! Isn't it? Note: iTrueMart.PH is currently delivering in Luzon area and will further expand from the beginning of next year. 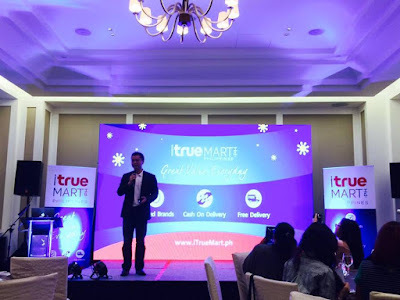 iTrueMart.ph is the answer to Filipinos' shopping woes, offering various products, easy payment methods and great deals with just a click of a button. It allows shopping from home or the office, using a desktop computer, tablet or smartphone- definitely an easier and faster way to shop. 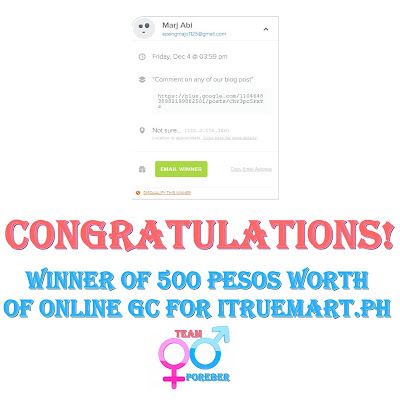 Online shopping is the future and iTrueMart.ph is here to stay. Got this as a gift from the event. 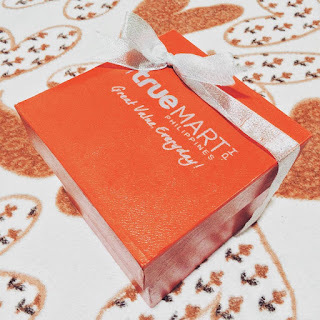 The mysterious itrueMART PH box ^_^ Find out on my next blog post about it's content and review. Giving and Sharing doesn't really need that much of an explanation. 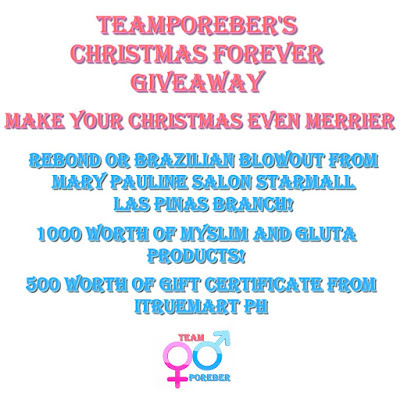 That's why we're taking this chance to give and share our blessings to everyone in partnership with Mary Pauline Salon Star Mall Las Pinas branch, MySlim and itrueMART PH! We're thankful for so many things so here's our blog giveaway as a chance for 3 lucky people to be thankful too. Get any of these for free in any length! Open for those residing within Metro Manila or at least someone who can actually go to Las Pinas to avail the service. 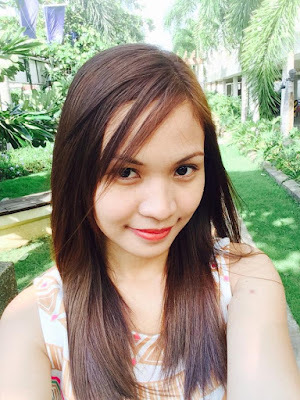 Here's how I look after going to their salon last month. It's definitely going to be worth it if you're within the metro! Check this blog post for more details. 1k worth of mySlim and Gluta Products! 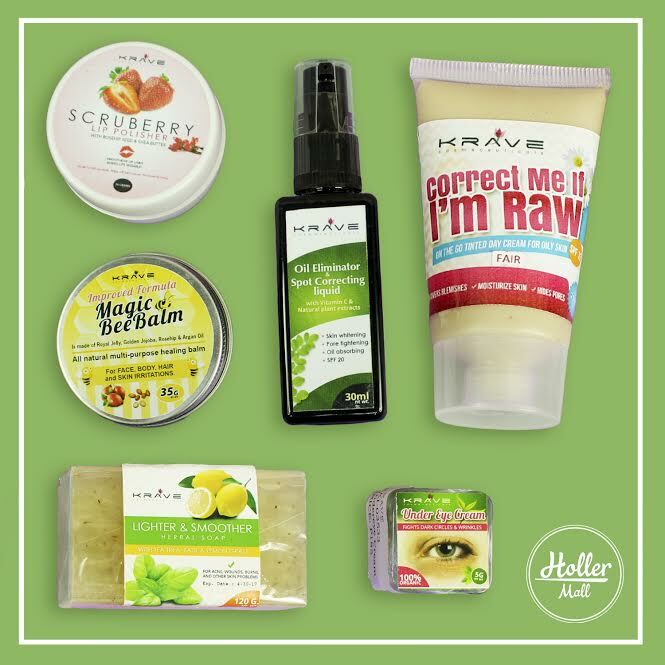 This will surely make you even more sexier and beautiful! Check out this blog post for more details about this product! 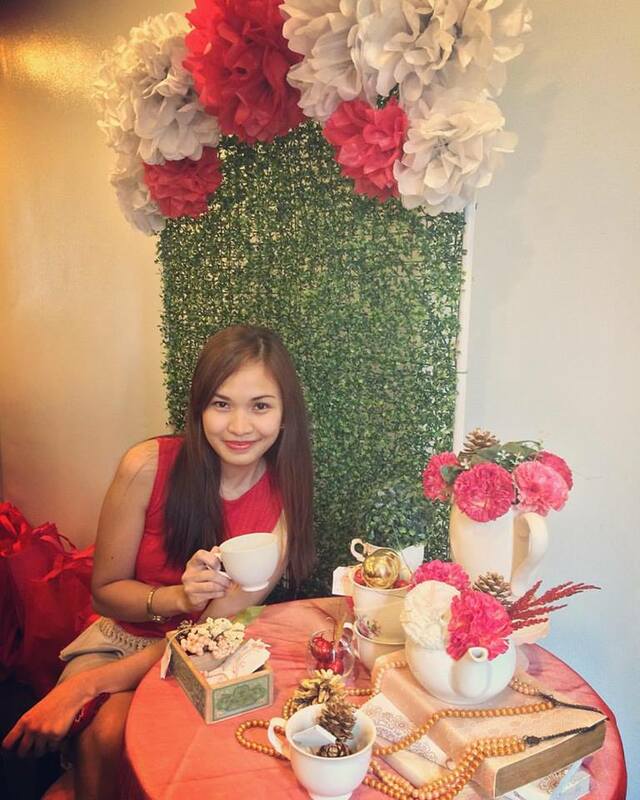 500 pesos worth of Gift Certificate with no minimum purchase! 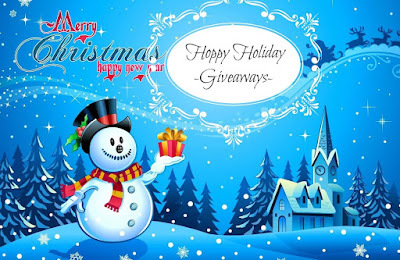 Prize will be emailed to the winner as an electronic coupon! Here's some items that you can get from this new online shop! Do you have your own personal favorite online brand? If your answer is a BIG YES, then I have a good news for you! PARAÑAQUE CITY, PHILIPPINES: HollerMall tagged as "your favorite brands under one roof" will officially hold its concept stores grand opening on November 28, 2015 from 2PM - 9:30PM and everyone is invited to join in the fun! The store is home to 44 online-based brands in the country. 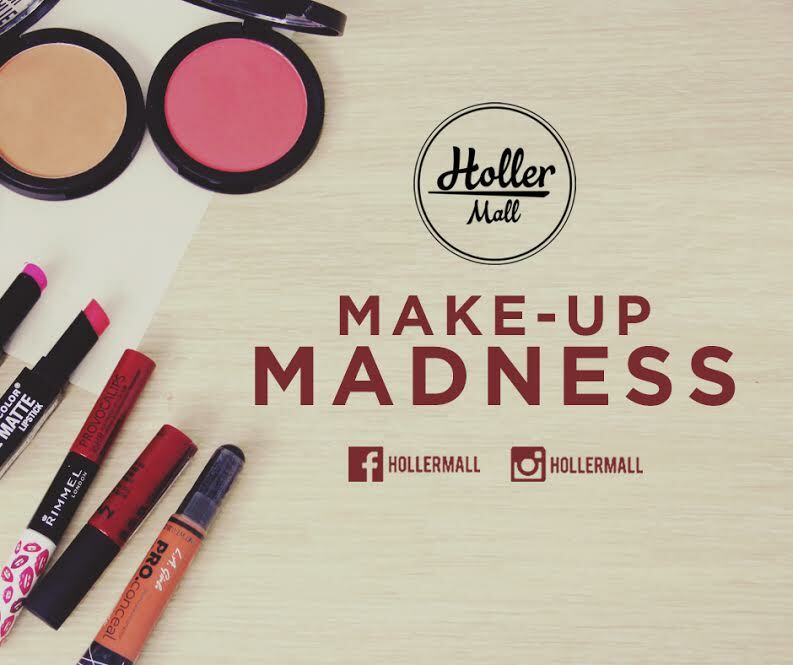 From retail space, to marketing, to delivery handling, HollerMall is the online shop’s partner in further establishing their brand. Shy Shop, Backdoor Studios, Caia the Label, Maven Manila, Zach and Ross, and Jukaykay atbp. 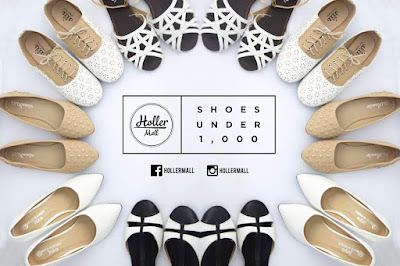 are only some of the famous online brands that you’ll be able to find at HollerMall. You don't have to go to various stores for your beauty, skin care and #OOTD essentials because HollerMall "your favorite brands under one roof" will be your next one-stop! 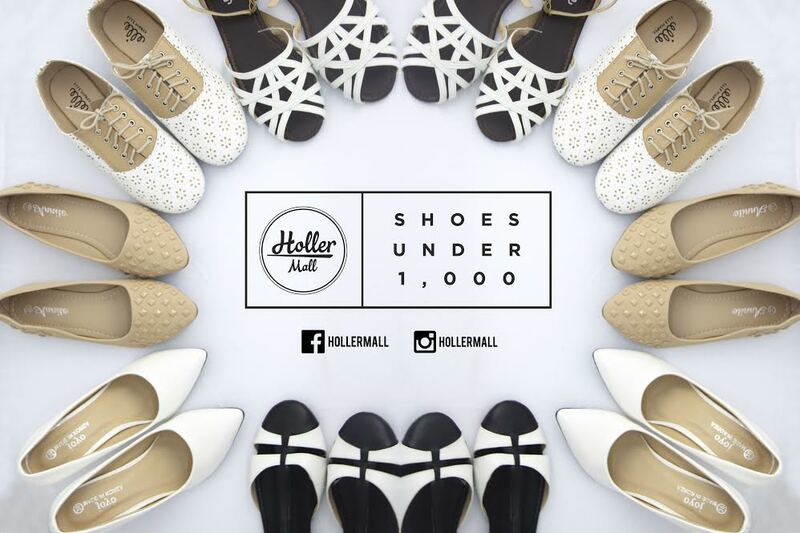 These shoes and more are UNDER Php 1,000! With lots of brand to choose from, you can definitely make room for 1 or more pairs right? Unleash the Fashion Diva in you as you wear your favorite brands to show your own style. People will stare so make it worth their while with affordable make-up that will keep make you gorgeous. 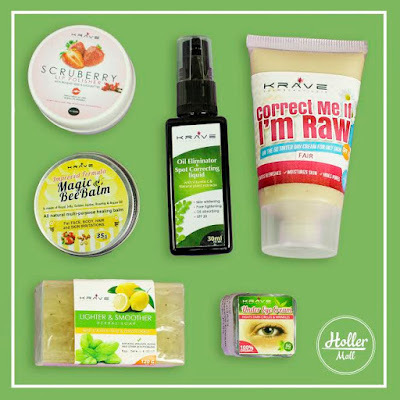 Love yourself more with these must have personal essentials! Again, all these in just ONE STORE. I love love love this idea to bring all the good things in one place and in addition to the open store, raffles are to commence every hour and tons of freebies will be given away. 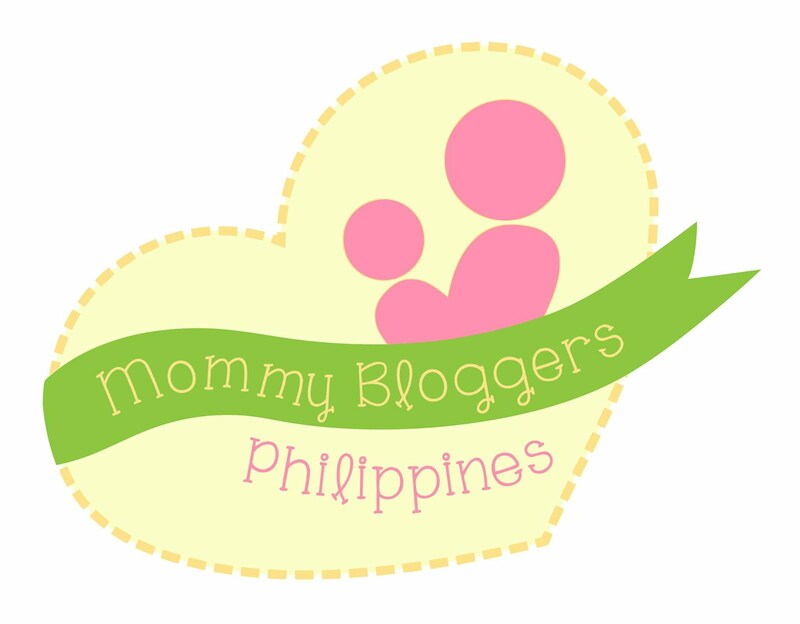 Popular bloggers and social media personalities will be present during the event for a meet and greet. It's your chance to shop with your favorite girls: Ida Anduyan, Cha, Ocampo, Vina Guerrero, Kally Araneta, Chin Obcena, Chace Chua, Gela Muñoz, Akiko Abad, and Aaliyah Benisano! 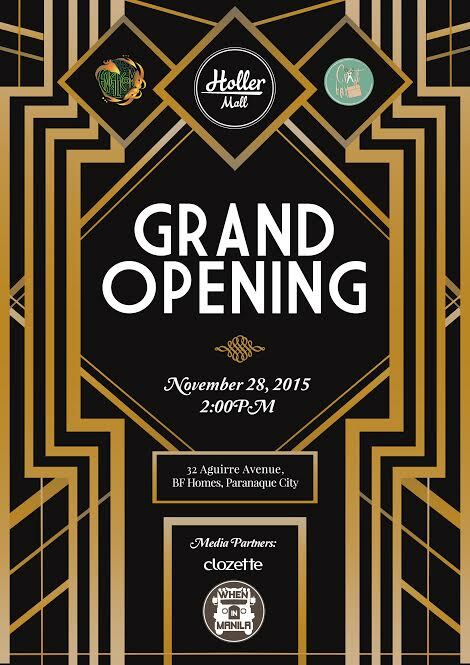 You can start purchasing your GCs for the raffle starting November 25 until the grand opening day at 4:30PM. Winners to be announced at 5PM. Get styling tips and inspirations for your next #OOTD. 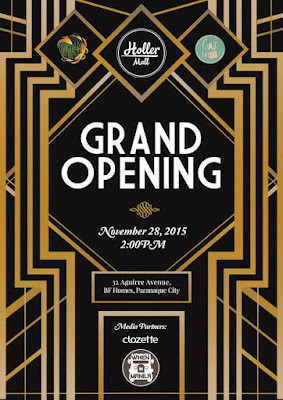 The grand opening is co-presented by Craft Box PH and Englicom with our official media partners When in Manila and Clozette. 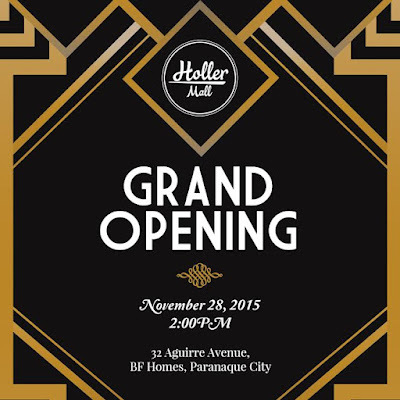 HollerMall is located at 32 Aguirre Avenue, Barangay BF Homes, Parañaque City. Regular mall hours are 11AM-9:30PM daily. I have a confession to make. I eat a lot! A lot like 4-5 meals per day with major meals in generous servings, seriously! I have such a huge appetite especially because I'm breastfeeding my youngest for 2 years now. I'm just thankful that my body is capable of burning those extra calories and even though I barely exercise, I can say that I have an active lifestyle. I do a lot of moving around as a mother of three; 6 years old, 3 years old and 2 years old. We also don't have a helper so my husband and I do all the chores though there's a tad bit of unequal division of labor there (you know guys! haha). It seems like I'm living every girls dream right? Eating a lot and doesn't seem to gain weight. Eventually, nightmares do exist! It's true that breastfeeding helps lose pregnancy weight faster but we get to a certain age when our metabolism just slows down. There's no denying I ain't young like I used to be and with that, hello bulgy tummy, flabby arms and thighs! It may look cute on kids but certainly not on adults, agree? That's why we find ways to get rid of it. If you were able to read my previous post about achieving my pre-pregancy body HERE, you'll see my dilemma in losing weight. I don't want to go on diet (I love eating, remember? ), no time to hit the gym so I settled with my whole grain cereal, my usual daily activities and incorporated some basic cardio exercises. I know that I can do something else, I wanna try something new that will make it easier and faster. Yes, I'm thinking about trying out dietary supplements. Nowadays, dietary supplements come in a variety of forms such as tablets, capsules, as well as drinks and energy bars. It’s becoming hard to tell which product yields the best and safest results. 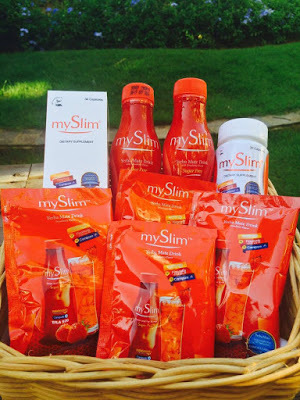 It was like a blessing in disguise when I received this MySlim package, such a perfect timing! 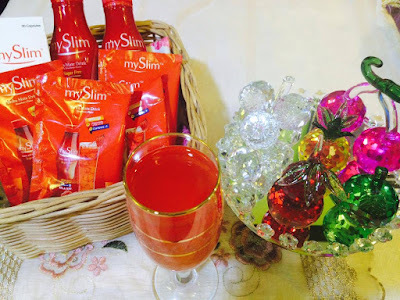 MySlim was developed by Vida Nutriscience Incorporated, one of the leading health and wellness products provider in the market and the country’s go-to provider of safe, novel and ethical health and wellness products. 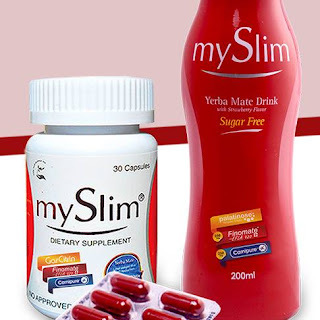 Through my research, I found out that MySlim with Yerba Mate is Philippines dietary supplement of choice. 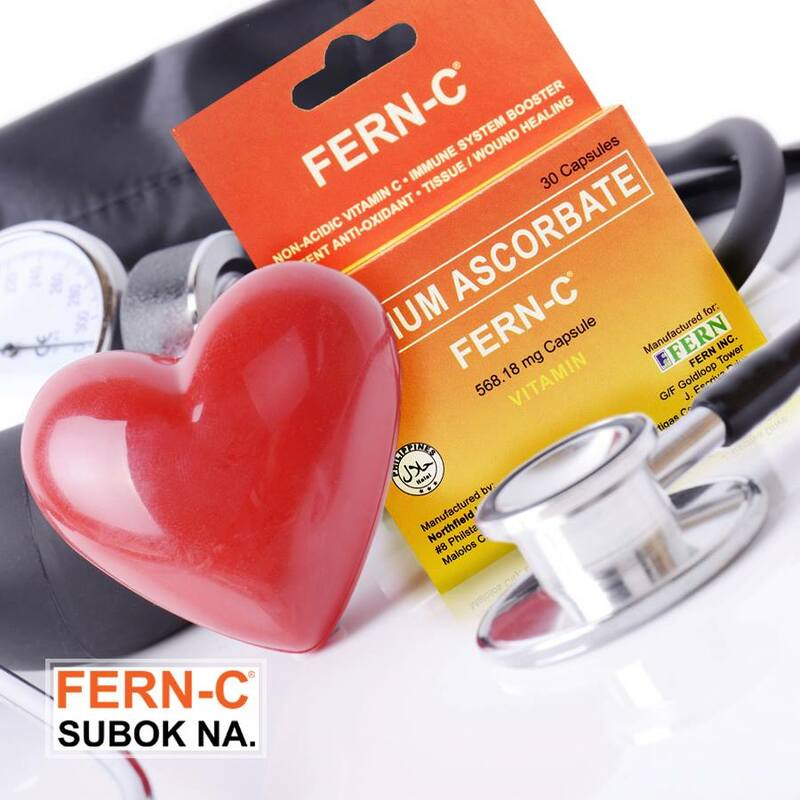 It is the first slimming and detox drink clinically proven to promote safe weight loss for its special Yerba Mate formulation. MySlim-Yerba Mate is available in 3 forms: MySlim-Yerba Mate Drink Ready To Drink Bottle, MySlim-Yerba Mate Powdered Drink in Sachet and MySlim Slimming Capsule. SRP: Php 89.00 per 200 ml bottle. 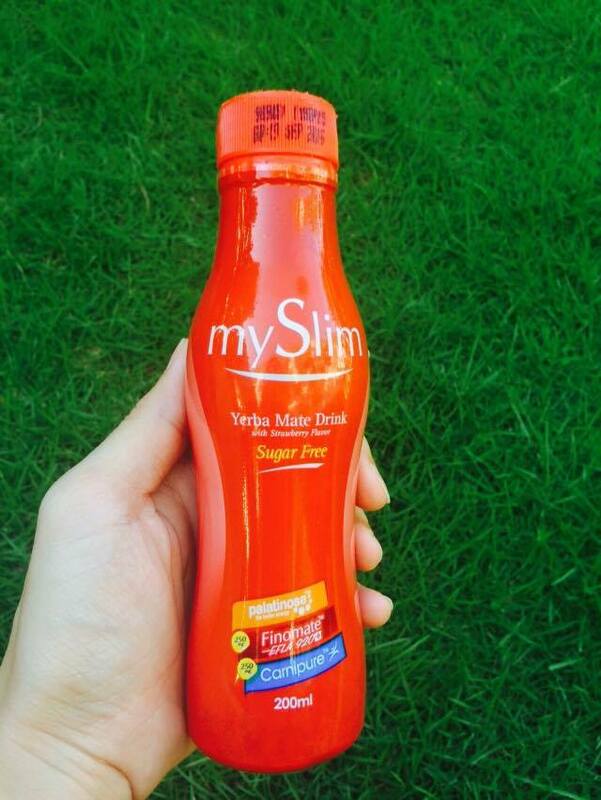 You can drink 1 bottle or sachet of MySlim- Yerba Mate drink every other day. Yerba Mate was first discovered in Brazil and was then used for tea. Over the centuries since its discovery, clinical studies and research proved that it is also an effective weight loss component. It reduces fat without shedding lean muscle mass and only burns unwanted fat, making you fit and healthy. Palatinose which promotes energy for longer periods of time. Carnipure which reduces the sensation of hunger therefore reducing one’s food intake. 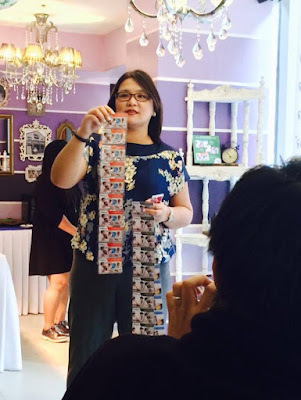 SRP: Php 540.00 per bottle with 30 capsules. 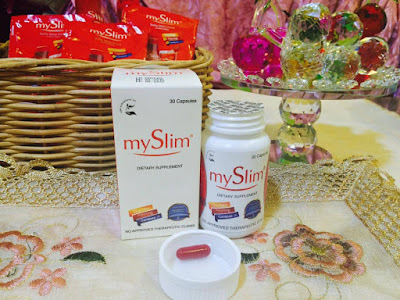 MySlim Slimming Capsules can be taken 1-2 capsule/s in the morning and 1 or 2 capsule/s at noon or evening, before or after meals. Garcinia Cambogia, which reduces appetite, blocks an enzyme in your body preventing carbohydrates to be stored as fat and it burns fat rapidly. Green Tea Extract (EGCG), increases fat loss, improves brain function and physical performance. 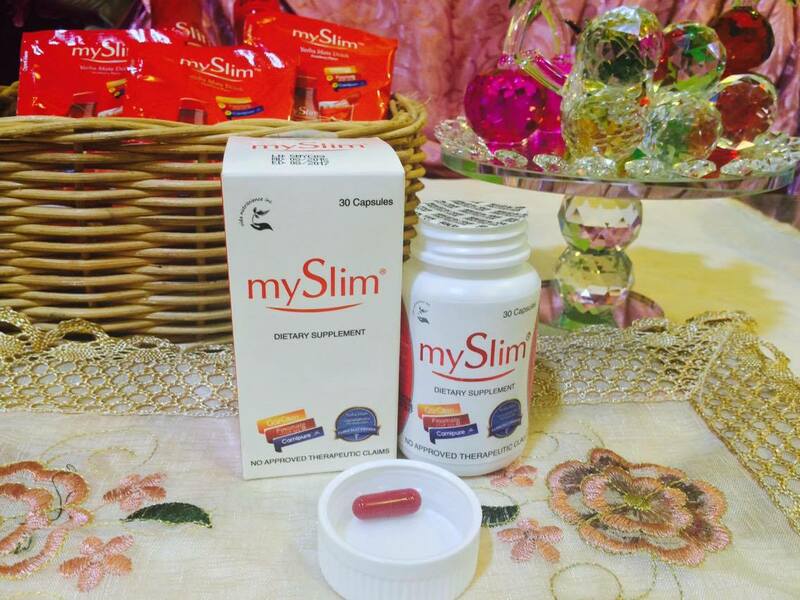 MySlim Slimming Capsule causes thermogenic effect, meaning your body will produce heat through metabolic stimulation. It also suppresses appetite. 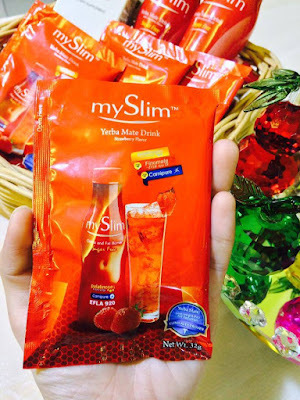 MySlim drink has a detoxifying effect but not necessarily considered as LBM or diarrhea. Expect about 2-3 trips to the bathroom (depending on a person) so it is advisable and safe to drink when you're at the comfort of your home. It's good for those who experience frequent constipation. I was a little bit hesitant at first but after further research I got a deeper understanding about the product, so my anxiety turned in to excitement. But I guess it has to wait for a little while, because even though I am already weaning my baby from breastfeeding there are still times when she demands for it. Good thing my husband agreed to take it for me, because I really wanted to share with you our first hand experience with the products. Just like me my husband also loves to eat so undeniably, he has also gained weight that's why it wasn't that hard to convince him. Haha! We first tried mySlim-Yerba Mate in sachet, we just poured all the content in a 250 ml of water. It's strawberry flavored and smells good. I was almost tempted to drink it! According to my husband, it taste good, not too sweet and doesn't taste like medicine. He drank it around 5:30 pm and said he felt fine so he was able to resume his activity normally. In about 3 hours, around 8:30 pm he already felt the urge to defecate so he went in for his first trip to the bathroom to relieve himself. We observed and waited but there was no trip no.2 even after we fell asleep. It's not like having LBM at all. It's more on like disposing excess water in your body. He did lost his appetite which is one of the side effects of this drink. All he had for dinner is some cheese sandwich and some water. TAKE NOTE, the reaction depends from one person to another. That's why it is advisable to take mySlim at the comfort of your home when you don't have important plans ahead to avoid inconvenience. It's a perfect choice for your fitness regimen but of course everything should be incorporated with self discipline. 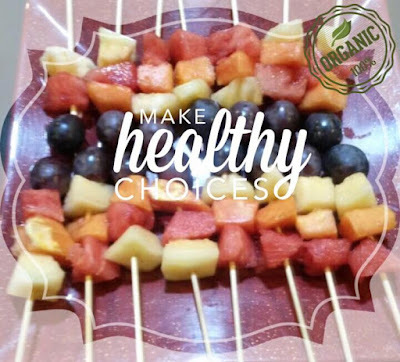 My advise is for you to still watch out your food intake, opt for healthy food as much as possible and keep moving! I can't wait till I can finally try it for myself! 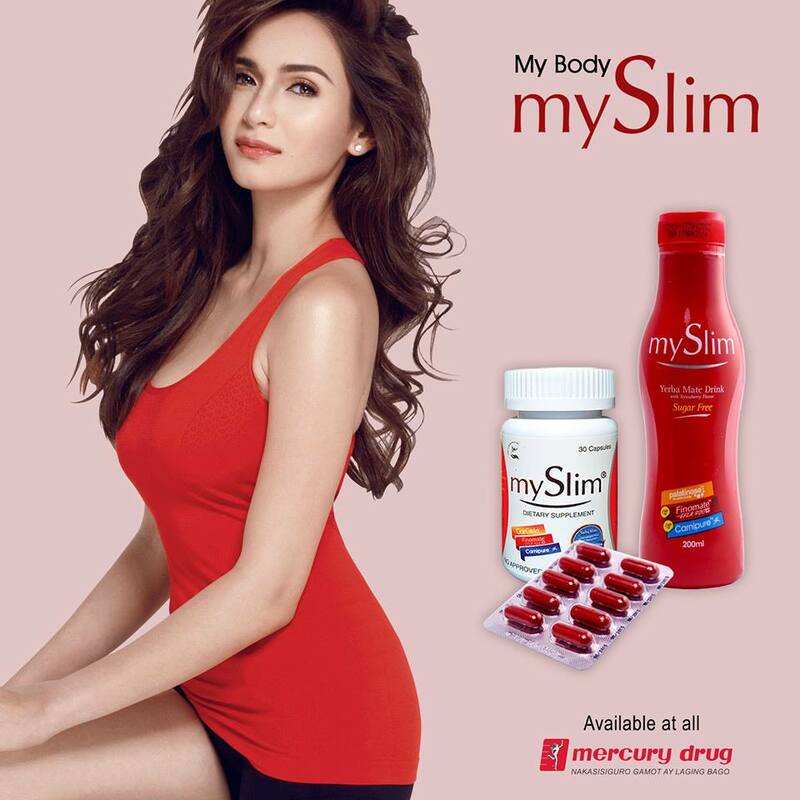 Recently, mySlim revealed its new brand ambassador, Jennylyn Mercado. She was chosen as the perfect image of strength and value for one’s constant improvement – both of which are mySlim’s brand philosophy. MySlim is available in 7-11 and in all leading drugstores and malls nationwide.